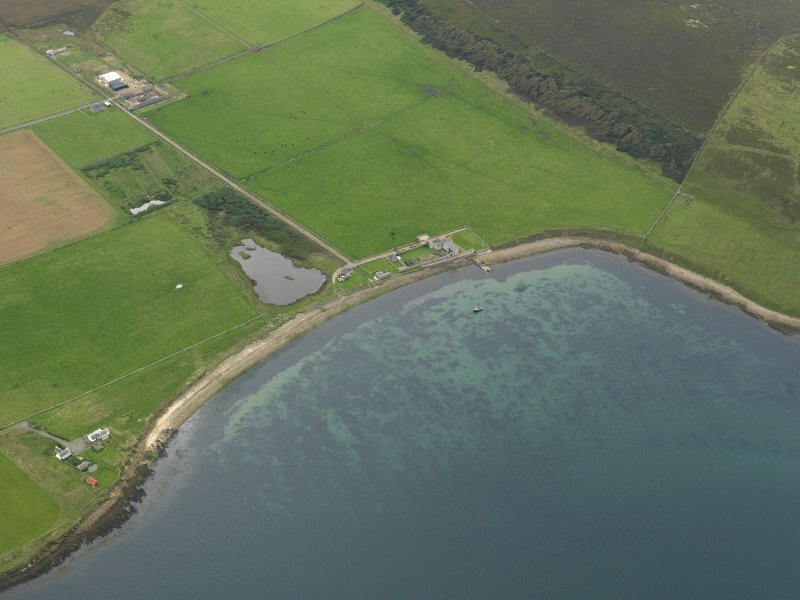 General oblique aerial view centred on Carrick House, taken from the NNW. 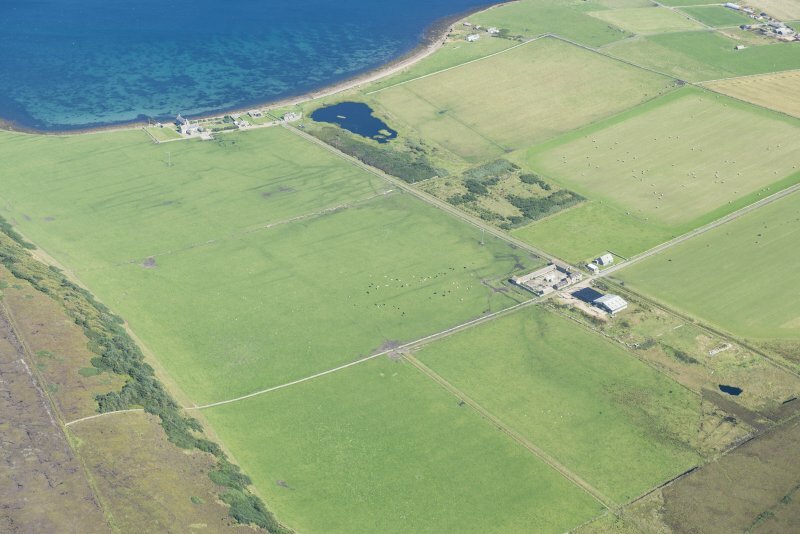 General oblique aerial view centred on Carrick House, taken from the NW. 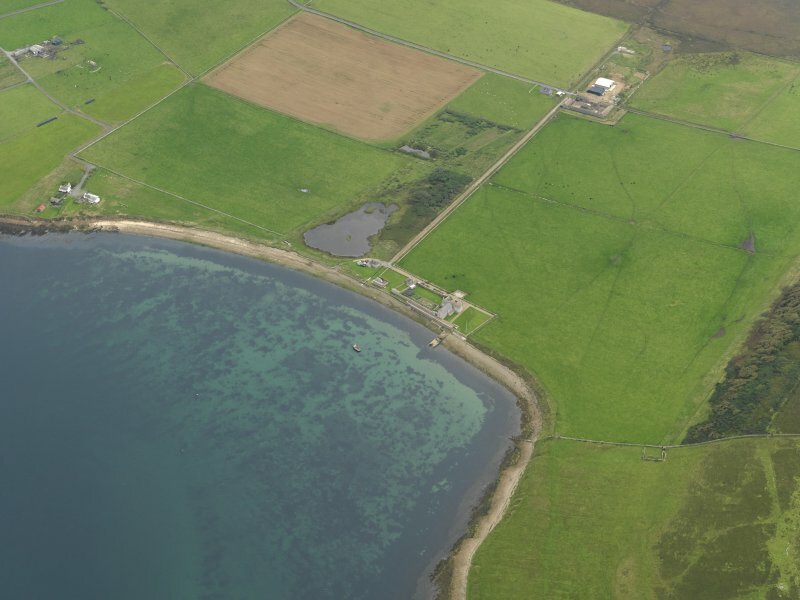 General oblique aerial view centred on Carrick House, taken from the ESE. 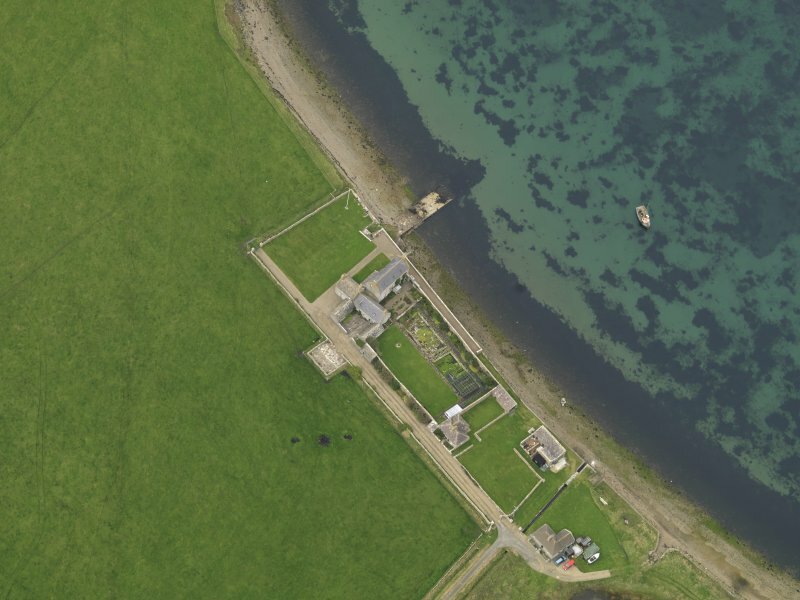 Oblique aerial view centred on Carrick House, taken from the N.
Oblique aerial view centred on Carrick House, taken from the NE. 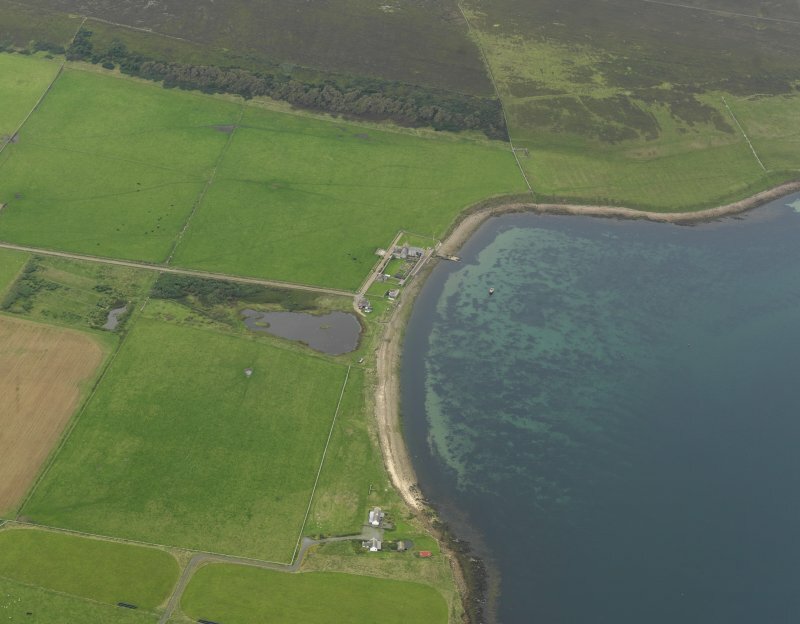 Oblique aerial view centred on Carrick House, taken from the SE. 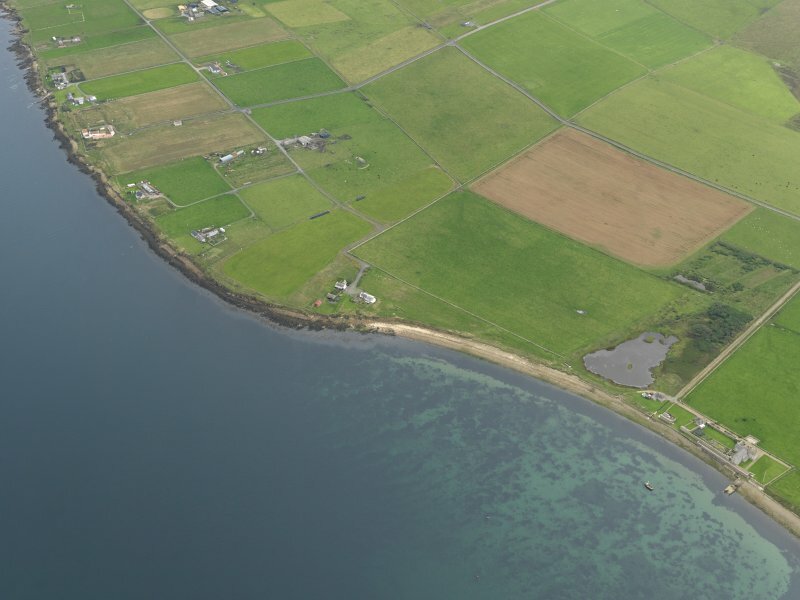 General oblique aerial view centred on Carrick House, taken from the NE. The house is depicted as roofed on the 1st Edition of the OS 25-inch map (Orkney and Shetland, 1881, sheet lxxx.16). The Object Name Book of the Ordnance Survey (ONB) describes the house as 'This name applies to the Mansion House occupied by the proprietor of the Island. it is situated at the south side of Calf Sound about the centre of the Island and at the north end. It is built of stone, one portion of the house is three storeys the remainder one or two storeys, all slated and in good repair. "Tradition says Gow the pirate was taken prisoner in this house". (Name Book 1880). The original portion of this house appears to be a harled, rectangular block, with crow-step gables, measuring 52'6" by 20'4" and containing two storeys and an attic, which presumably dates from the 17th century. A courtyard to the SE preserves in its wall a gateway whose keystone bears the date 1633. This date and the name of the house commemorate John Stewart, Earl of Carrick who was granted Eday in 1632. Carrick House a laird's house of no architectural merit, as described by the RCAHMS. This house is perhaps more notable for its historical associations than for its architecture, but its setting is superb and its view over Calf Sound unrivalled. In its original form in the 17th century, it consisted of a typical two-storeyed laird 's house with crow stepped gables and a courtyard enclosed by a stone wall, and the gateway, set on the seaward side because most contemporary visitors would arrive by boat, retains its original moulding and arch, with the date 1633 carved on the keystone of the arch. Above the gateway is an armorial panel with the initials of Arthur Buchanan and his English wife, Marjory Buxton and the date 1662; the same initials and coats of arms appear on the 17th century gateway in the grounds of Balfour Castle on Shapinsay (no. 15). 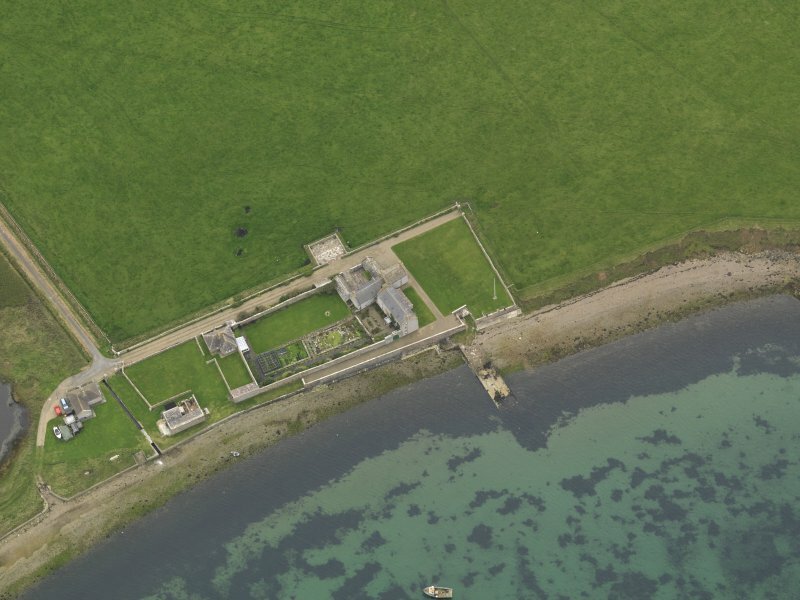 The original owner and builder of the house was John Stewart, Earl of Carrick and brother of Earl Patrick Stewart, who had been granted the entire island in 1632. 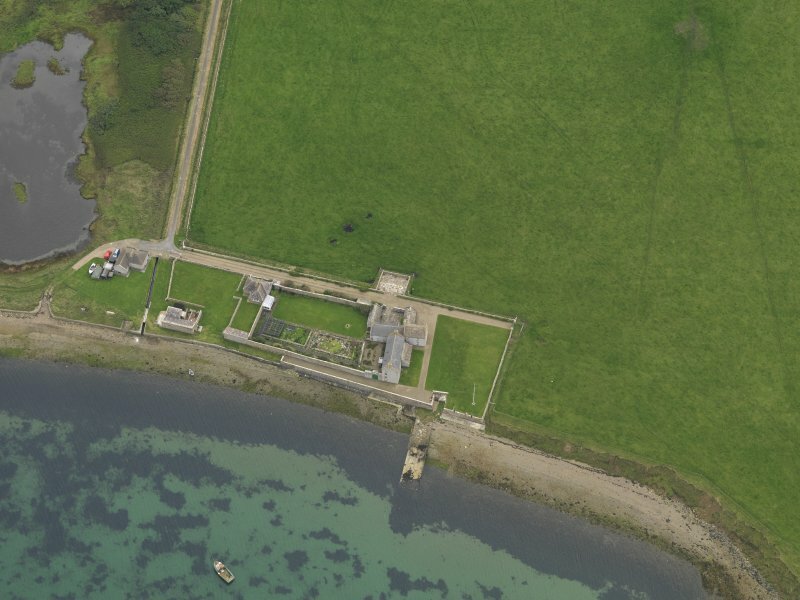 Since the 18th century, Carrick House has been famous for its part in the capture of the notorious pirate, John Gow, whose exploits inspired Sir Waiter Scott's novel The Pirate; in his ship, the 'Revenge', Gow ran aground on the Calf of Eday during an attempt to raid Carrick House in 1725, and he was held prisoner in the house before being sent to London for trial. His ship's bell is still preserved at the house.